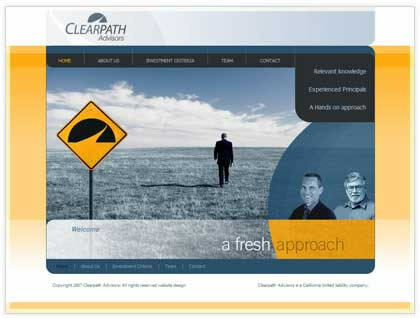 Clearpath Industrial and manufacturing consulting web design firm || Website design utah consulting firm. This consulting firm for middle-market business acquisition in the Rocky Mountain and West Coast regions had a website but needed to freshen up their look. By continuing the brand of their logo with some graphical elements - we were also able to help the user understand the company message.